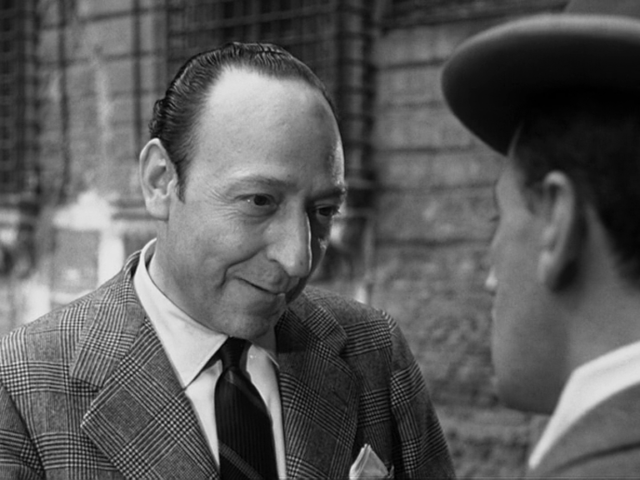 Shockingly underrated, a terrific film that seems to bridge the gap between neorealism and perhaps even commedia all’italiana, a collaboration between two of Italian cinema’s greatest, Rossellini and Toto. Toto is a genius performer, and the label of Italian Chaplin doesn’t feel misguided (but perhaps reductive) – he conveys such deep emotions behind his famous expressive face. This film takes the old gag – of someone who would rather be in prison than out – that fits in with Italian cinema so well. The concept of ‘freedom’ is so interesting, as we find that dilemma with all the minor, unforgettable supporting characters. 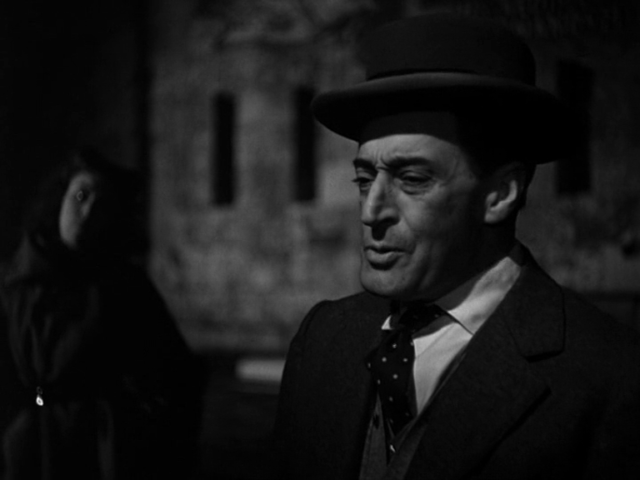 A heartbreaking scene has a young girl reveal she is pregnant to a lecherous old man, but is resigned to it due to the money he can provide – like Toto, the freedom she wants is that in security,a strange irony that makes complete sense in the context of post-war Italy. Such a pessimistic, cynical worldview, and yet not without humour and moments of lightness – the sheer joy when Toto gets to go back to jail becomes near transcendent. Essential film. You are welcome. eng subs added. Actually this film hides some other gems. 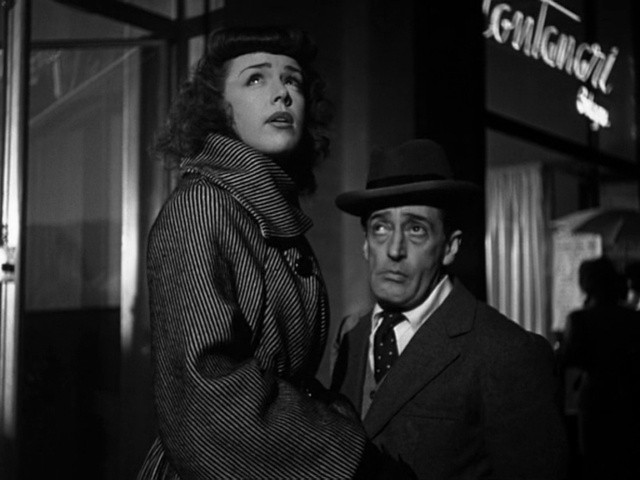 Roberto Rossellini had the idea from an actual real life event in a true “neorealism” style. 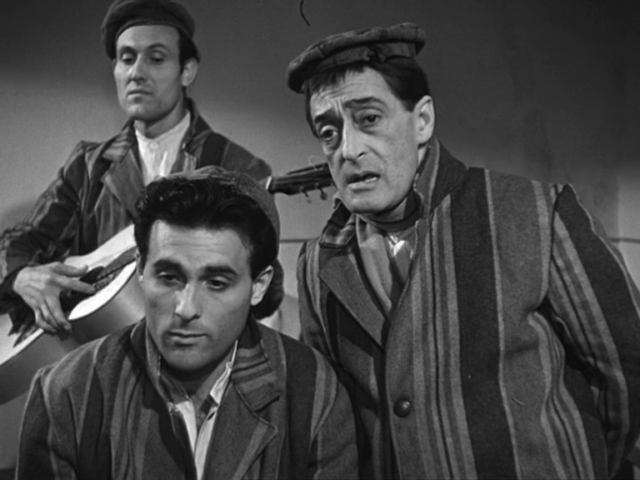 The script is Vitaliano Brancati, Ennio Flaiano, Antonio Pietrangeli and Vincenzo Talarico. However, after a few weeks production, Rossellini lost interest in the film and the film was on hold for sometime. 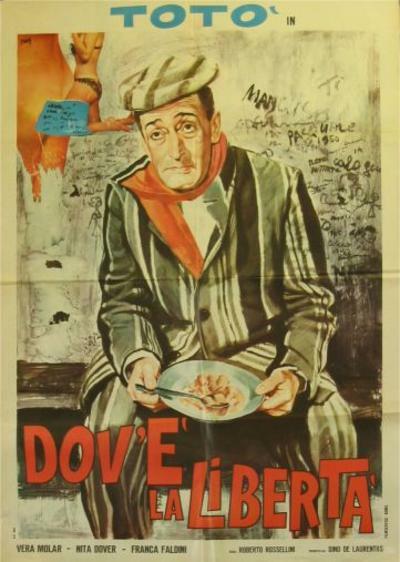 Although “Dov’è, la libertà” was his on idea Rossellini was never a “professional” director able to move from one style to another and end the film as a “professional job”. His own story and script grew very far from him as it had a moral under text Rossellini didn’t recognize as his own while filming. Also he felt as if Totò was a star and he felt intimidated. 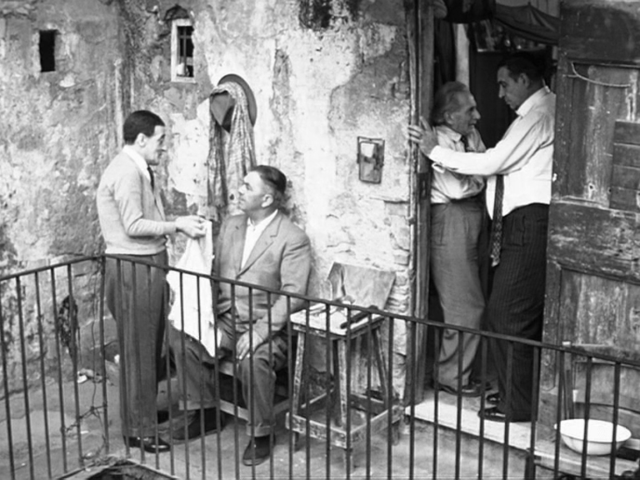 Cameraman Aldo Tonti tells about the shhoting several funny stories: Both Totò and Rossellini would never come on time, and when they did more often then not either one didn’t find the other as he had left already….. Shooting resumed months later with Mario Monicelli and (perhaps) Lucio Fulci in care of the direction. The final scenes are Federico Fellini. 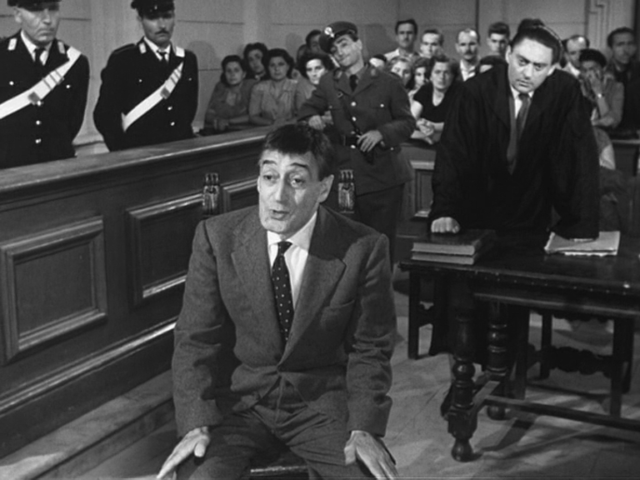 However the film keeps his great power because of Totò amazing acting. He was able to link together the various directors styles and the film never shows so many directorial changes.